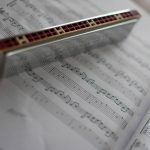 It’s amazing how many pocket trumpets can be found online now, making it exceptionally difficult to know which option is the best pocket trumpet for you. So how are you going to make that decision online? All you need to do is read this starters’ guide to finding your next pocket trumpet. The reviews will help you choose the right one for you to purchase as soon as you’re ready. 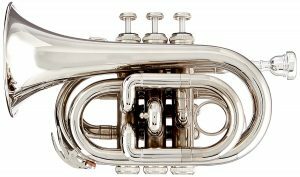 What is the Best Pocket Trumpet for You to Buy? 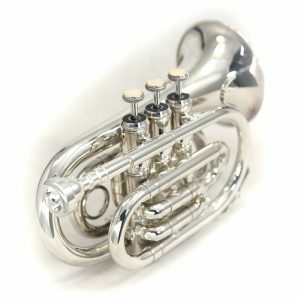 Finally, What is the Best Pocket Trumpet to Buy? A pocket trumpet needs to be suited to the needs of the player. 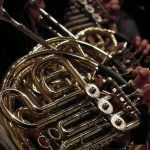 It is a more difficult instrument to play than a full-sized trumpet and because of this it is important to consider what the purpose of playing the instrument will be and how proficient the player is that it will be bought for. 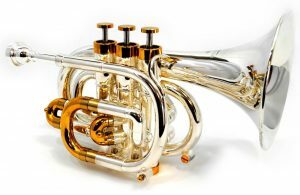 Overall, a pocket trumpet will often be chosen by a player that has already mastered trumpet or cornet and is taking on the pocket trumpet for a specific need or purpose. They are played in the same way as an ordinary trumpet and with the same notes. A pocket trumpet plays in the key of Bb and is the same length in tubing as a standard sized trumpet. The difference is that the tubing is wound much more tightly resulting in a miniature looking shape. Often used as a novelty instrument or for jazz routines by players of the trumpet, the pocket trumpet is easy to transport and can be carried more easily from venue to venue. A pocket trumpet is an instrument regularly used in marching bands for ease. They usually have a smaller diameter on their bell, which can limit the projection of the sound. Well, as same as the regular trumpet, a pocket trumpet is played by creating a buzzing of the lips against the rim of the mouthpiece. 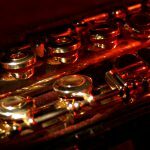 The notes are created by putting different combinations of the 3 valves down and tightening or loosening the embouchure for higher and lower pitches. For any valved-brass player it should not be difficult to pick up and blow a note on the pocket trumpet. The finger patterns are the same as is the way to use your lips. 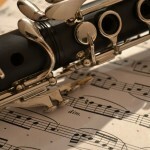 It depends mostly on your budget and purpose for buying the instrument. 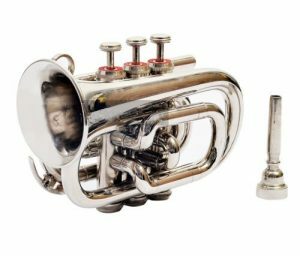 It is easy to make a pocket trumpet comparison using our brand guide and product reviews below. 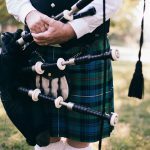 So read on to find out which option of pocket trumpet is best for you. You will find we have covered beginner to professional models and a variety of designs. 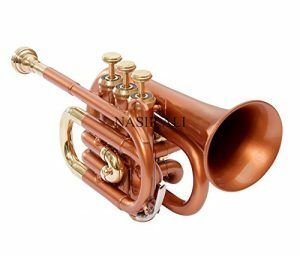 There are a vast number of pocket trumpets available online and the pocket trumpet reviews below will help you to see which one is for you. This list, although not extensive, will give you a clear overview of some brands to look out for. There are a few brands to watch out for when seeking well-known or well-manufactured instruments. Read on to find out about each of the brands to look out for. An instructors-approved brand that are dedicated to quality manufacturing. This brand of pocket trumpets will not disappoint. The Mendini range are affordable but not lacking in quality and durability. 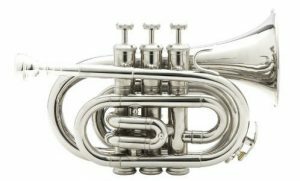 A quality brand of brass instruments, Schiller put efforts into manufacturing instruments that are not only aesthetically pleasing to the eye but they pay particular attention to the production of quality intonation in their brass instruments. Merano offer a wide range of options for the pocket trumpet player and are a good brand to trial differing standards because of this. An affordable range, Merano is often a popular choice for beginner models to professional. A brand that puts quality into every step of the manufacturing process, Ravel work to ensure your needs will continue to be met in your pocket trumpet long after purchasing. Enjoy a variety of styles that will make you stand out from the crowd of pocket trumpets on the market. Review: A quality branded instrument, which offers good quality tone and manufacturing. A favorite for most players. This instrument is nickel plated and plays in the key of Bb. Mendini put a lot of time and effort into their manufacturing quality and testing the functionality of the valves. Would need upgrading for professional play. 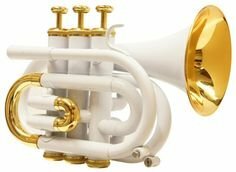 This is a great pocket trumpet for a beginner looking for a quality instrument to start their career on. It will offer a great beginning to your pocket trumpet playing. 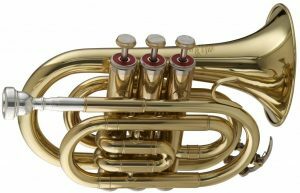 Review: A highly acclaimed pocket trumpet, this Carol brass 3000 is an exceptional professional model. The only one of its calibre available, it will give all professional players and extra finesse in their performances. Wonderful tone quality and sound production. This is a great pocket trumpet for the professional pocket trumpet player with a larger budget. 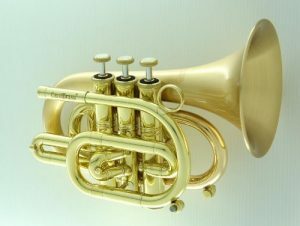 It is the option for the most proficient players of the pocket trumpet to improve their tone quality and ease of play. Review: This is the best cheap pocket trumpet option. 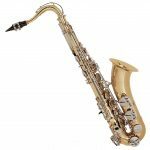 A known brand for brass instruments that will offer the student an affordable option to start their learning on. Choosing this option will allow you to play a beautiful chrome pocket trumpet, which has been a popular option amongst beginners. A great beginner pocket trumpet. This is a great pocket trumpet for beginners looking for a stylish finish on their pocket trumpet. Review: This pocket trumpet can be bought in a variety of colors to stand out from the crowd. This pocket trumpet offers some of the best tone and sound quality range. 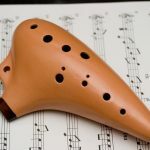 This instrument would suit the needs of many players at different levels of proficiency. Smooth air flow due to well-manufactured design. More expensive than most beginner options. This is a great pocket trumpet for a player looking for style and beautiful playability. You will wow any audience with your color choice and your tone. Review: If you are looking for style to stand out from the crowd then this is the pocket trumpet for you. Its red finish is bright enough to turn heads. The lacquer is slightly more durable than brass and polishes up well. 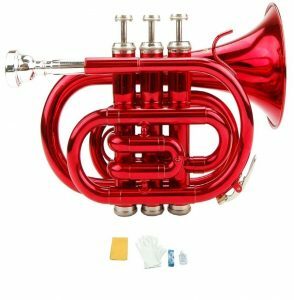 This well-manufactured branded red trumpet allows the player to show their style whilst playing their solos or practicing on the go. This option will never disappoint. The Merano brand offers a range of pocket trumpets that will meet the needs of all playing proficiency. Comes as part of a set with cleaning cloth, carry case and much more. Beautiful colour option to set you apart from the crowd. Affordable pocket trumpet for many different levels of proficiency. Approved by teachers who have tested it. Some tuning issues can be resolved with a decent ear. This is a great pocket trumpet for an intermediate player wishing to show their talents and look different to the ensemble. 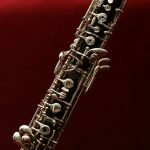 Soloists love to have this option so everybody notices them! Review: A simple pocket trumpet that will offer a player the option to have an easily transportable instrument. This Merano pocket trumpet will offer you good sound projection and quality sound. 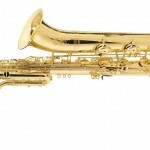 This instrument comes from a trusted brand that offers high quality manufacturing. Comes as part of a set with cleaning cloth, velvet carry case and mouthpiece. Some intonation issues, which can be resolved by a good ear. This is a great pocket trumpet for a trumpet player looking for a novelty instrument to play or an easy instrument to travel with for practising. Review: This ravel pocket trumpet allows the player a well-manufactured design with many color options. This is an ideal option for the traveling pocket trumpeter. The Ravel brand does not disappoint in quality and design. 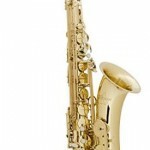 High quality brand offering a well- designed instrument. On the more expensive end of pocket trumpets. This is a great pocket trumpet for looking good amongst the ensemble. Easy to transport and practise. 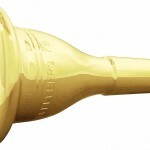 Review: This pocket trumpet is a classy design with gold-colored rims and edging. It will allow you to look good at the same time as offering you quality manufacturing. This Ravel pocket trumpet is well tested during the manufacturing process to offer the player a high-quality instrument. A great quality pocket trumpet design. Good quality option for tone and sound. This is a great pocket trumpet for wanting to stand out from the crowd and have a good quality instrument. Review: This Stagg pocket trumpet is a beautifully crafted brass instrument with great sound quality and projection. The small size allows the player to carry it easily from place to place. It comes with a case included. Great sound and tone quality. Easy to project over the ensemble. 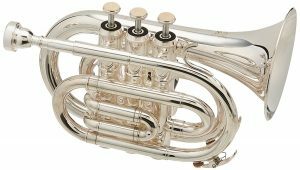 This is a great pocket trumpet for the professional player; you can project across the ensemble and still maintain your beautiful tone. Review: this affordable pocket trumpet has an awesome look that is unlike any others. Stand out from the crowd with this beautiful shade of bronze. Great projection across the ensemble. Only bronze option to offer a stunning look like this. Excellent sound quality and manufacturing. Bronze color is painted on. This is a great pocket trumpet for offering the player a beautifully designed instrument. 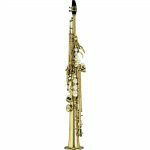 Review: This Schiller model is in the key of C. Schiller is a quality brand of brass instruments. This brand makes instruments pleasing to the eye and this pocket trumpet is just that. The mix of silver and gold-plated tubing looks like a high-quality design. Beautiful design of silver and gold tubing. A more expensive model compared with other pocket trumpets. This is a great pocket trumpet for somebody who wants a beautifully designed instrument that is not on a budget. Select your next pocket trumpet from the reviews so that you can have it as soon as possible to play. 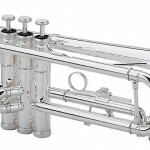 This information will help you find the best pocket trumpet for your needs so choose your purchase from the reviews above and find the best option for you. Do these 3 simple steps and then go get yourself your favorite pocket trumpet, and start playing!